OMG Posters! 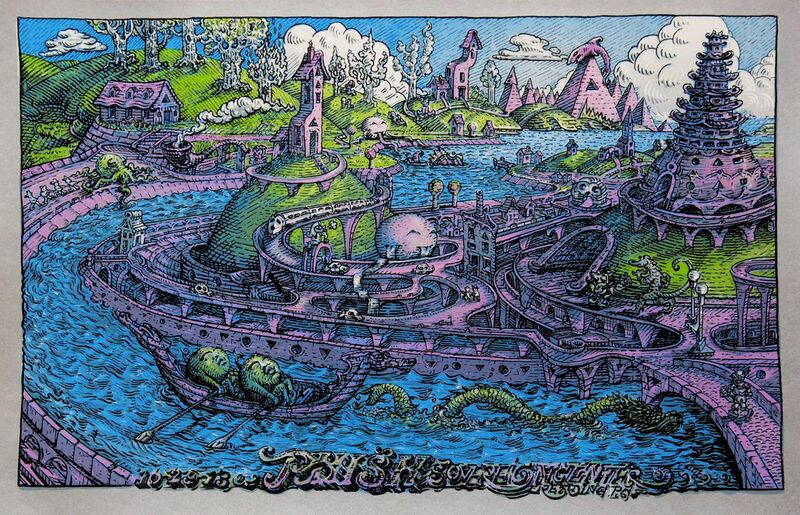 » Archive David Welker's New Phish Poster (Onsale Info) - OMG Posters! Wow, this may be David Welker’s best concert poster yet. This new one for Phish is a 14″ x 22″ screenprint, has an edition of 725 (much, much less online), and will cost $50. It goes up today (Wednesday, October 30th) at 3pm Eastern Time. Visit WelkerStudios.com. superb, can’t wait for my eyes to feast upon this. Bravo David very well done, favorite of the tour thus far. Very awesome David…love the pagoda and waterways! I had fun with this one for sure. Thanks guys. Thanks Mitch!